Many people think of fly fishing as something done mainly for trout. 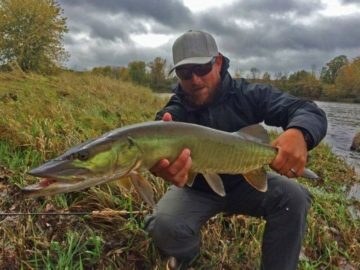 Our guest speaker Nate Sipple will talk to us about "Muskies on the Fly." Read more about " March 7, 2019 Program ". The Wisconsin River Alliance's Natalie and Falon will discuss their organization's mission, programs and the connections with GBTU. Read more about " Feb 14, 2019 Program ". Recently Green Bay TU members and friends learned how to make their very own trout spinners. Read more about " Trout Spinner Making Recap ". March 3rd GBTU Program CANCELLED ! Due to the arrival of the Fly Fishing Film Tour (F3T) on March 3rd, Green Bay TU will NOT have a program meeting ! Read more about " March 3rd GBTU Program CANCELLED ! ". On January 7th, water resources supervisor Jim Snitgen will be sharing habitat work the Oneida Nation is doing on Brown County trout streams, how many trout are there, and more. Read more about " Program #3 – Brown Co Trout Streams ". Come and join us Thursday, October 1st for our first program of the meeting season. Tim Waters will share decades of experience fishing one of America's top 100 trout waters, the Wolf River and it's tributaries. 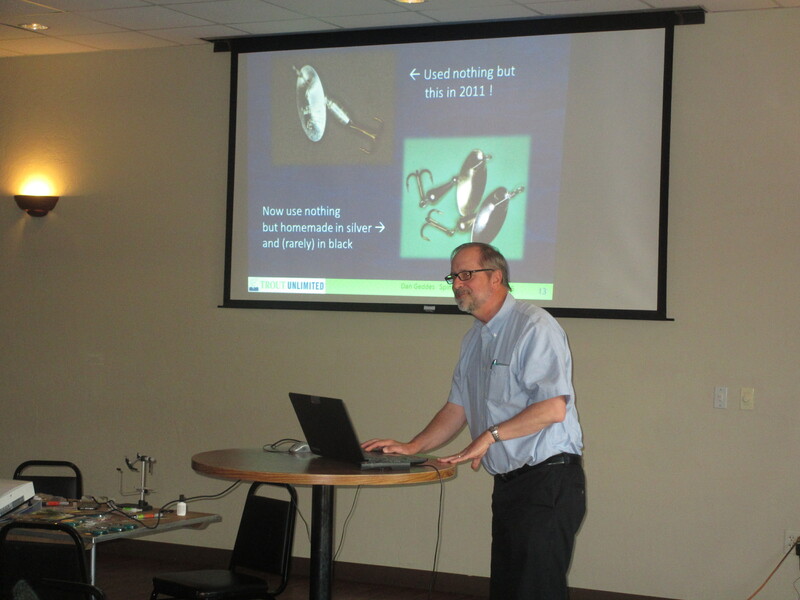 Read more about " GBTU’s First Guest Speaker – Tim Waters ". Read more about " Upcoming GBTU Meeting Schedule ". On Friday, July 31st, 2015 Green Bay Trout Unlimited ( GBTU ) is kicking off Project Healing Waters Fly Fishing ( PHWFF ) and needs volunteers. Read more about " PWH GBTU Kickoff ".